Hey Double-dutch buses, whom we THOUGHT were the “Professionals Drivers” in the crowd but clearly not! We know you think you’re as small as a Smart Car …..Just like my 90lb yellow lab thought he was a lap dog. 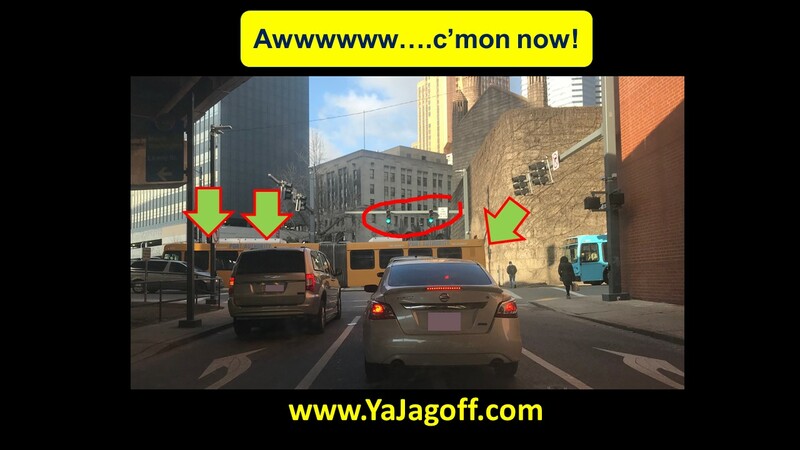 Learn what a yellow light means, YA JAGOFFS! Does ANYONE Know How To Run A Port Authority?? The Wheels On The Bus Go……..NOWHERE!! !